A great scarf for knitters who prefer less frilly patterns. Lacy columns form the main pattern. 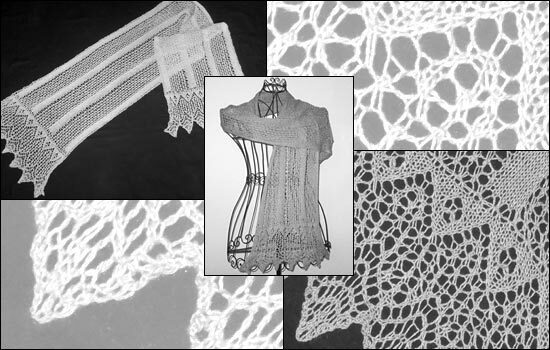 A simple but effective lace edging is added to both narrow ends of the scarf.